How should I heat my yoga studio? Yoga is all about creating the right environment, and we think infrared heating panels are the perfect option fornoptimum comfort and health in your yoga studio. Infrared radiation is a gentle, natural form of heating, often used in incubators for babies. It feels a bit like sunbathing, without any of the risks to health! Unlike convection heaters, infrared warms rooms and their inhabitants directly, rather than heating the air. The (completely safe) infrared rays penetrate skin, aiding circulation and warming you from the inside. Why is infrared heating a good choice for yoga studios? With the right placement of panels, heat is evenly distributed to warm each corner of the studio. The panels should hear to the high 20°Cs. If your business is Bikram yoga, you’ll need a central heating system to reach the required temperatures of around 40degrees. However, you could use infrared alongside to increase efficiency – they require less electricity input to produce the same amount of heat as traditional convection heaters. Infrared is a cost effective option for heating a studio as the initial outlay on panels will pay back in their efficiency. Some even believe infrared rays have health benefits! 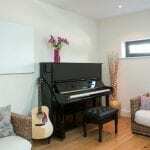 What do infrared heating panels look like? 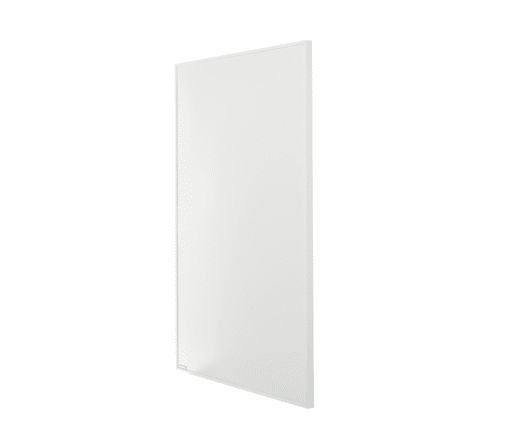 Infrared heating panels are discreet and stylish, so look good in any environment. 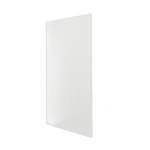 There are a huge variety of infrared panels available: different sizes and materials such as plain white, glass and mirror effect. You can pick what suits the style of your studio and as many or as few as you need to achieve the level of heat you require. 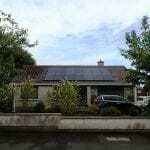 The panels are unobtrusive; they lay almost flat on the wall and don’t take up much space. They have inbuilt temperature controls but can also be wired up to a thermostat. 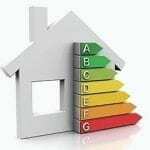 To create the perfect environment with the right mix of warmth, fresh air and humidity, you should also ensure adequate insulation and ventilation. 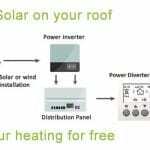 For any advice on products or help building a heating system that works for you, just get in touch!